320 pages | 1 B/W Illus. Drawing upon extensive original research, this book explores best-practice in army lessons-learned processes. Without the correct learning mechanisms, military adaptation can be blocked, or the wider lessons from adaptation can easily be lost, leading to the need to relearn lessons in the field, often at great human and financial cost. 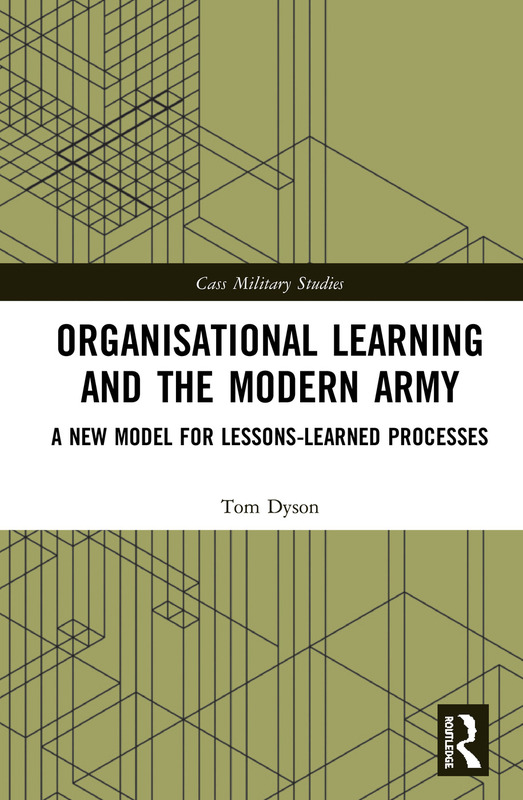 This book analyses the organisational processes and activities which can help improve tactical- and operational-level learning through case studies of lessons-learned in two key NATO armies: that of Britain and of Germany. Providing the first comparative analysis of the variables which facilitate or impede the emergence of best-practice in military learning, it makes an important contribution to the growing scholarship on knowledge management and learning in public organisations. It will be of much interest to lessons-learned practitioners, and students of military and strategic studies, defence studies, organisation studies and security studies. Tom Dyson is Senior Lecturer in International Relations at Royal Holloway College. He is the author of The Politics of German Defence and Security, Neoclassical Realism and Defence Reform in post-Cold War Europe and European Defence Cooperation in EU Law and IR Theory.